This reel appears in the second volume of Samuel Thompson's Compleat Collection of 200 Favourite Country Dances, first printed in London in 1765. “All hands hoy” is a naval expression used to assemble a ship's company, basically equivalent to “All hands on deck”. 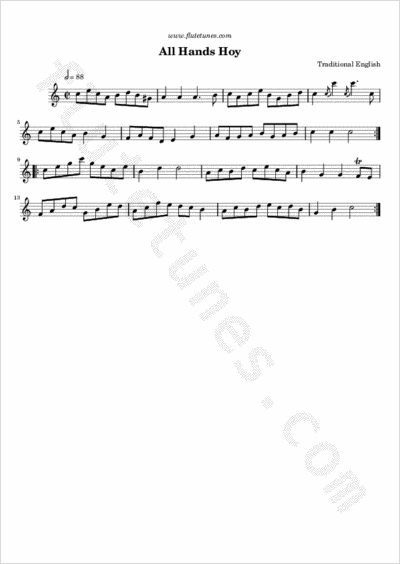 The tune also appears in print under the title “All Hands High”.